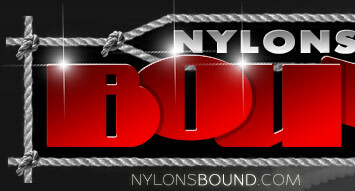 NYLONS BOUND is committed to maintaining the privacy of personal information that you provide. Any customer information you provide will NEVER be transferred to any third party. You Email address will NEVER be used for spamming purposes of any kind. your passwords or any copyrighted content with any individual, company or website. in any way without the expressed written permission of NYLONS BOUND or Shattered Productions. and will result in the immediate cancellation of your membership. the JOIN page to see the current pricing options. and send along with your Cash, Check or Money Order payment. to the CCBILL cancellation page.